Busy A&E and Minor Injury departments understandably struggle to achieve good FFT response rates. Its all too easy to rely on passive collection of responses to the FFT questions via electronic kiosks, tablets or comment boxes. 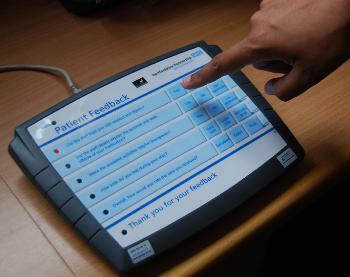 The result is that unless busy staff are encouraging and showing patients how to use the devices, response rates fall. 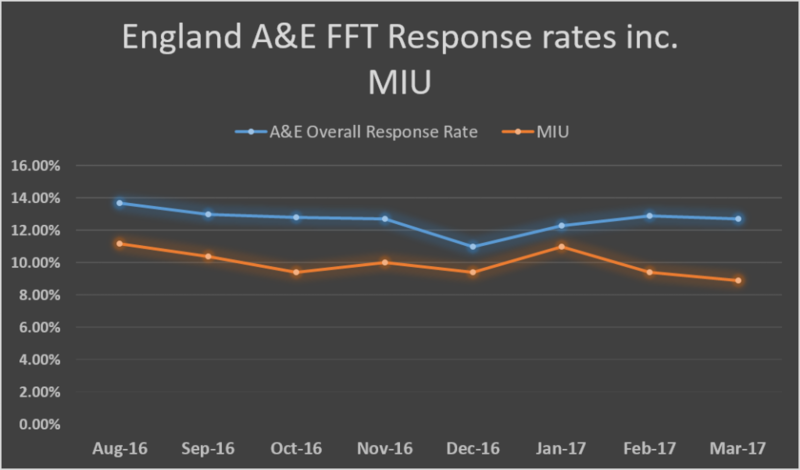 In Minor Injuries units, the response rate has now fallen below 10% in recent months as shown in the NHS England average trends. “In Clinic” devices can have very low reach and can miss the feedback from many patient groups. The key to getting good, representative response rates is to use a variety of methods including active engagement, reaching out to patients by email, SMS text, and on-line links which you can give to patients on cards to take home. CoMetrica provides a fully managed service which uses different channels to maximise the response rates to suit the different demographics of patients attending your service. 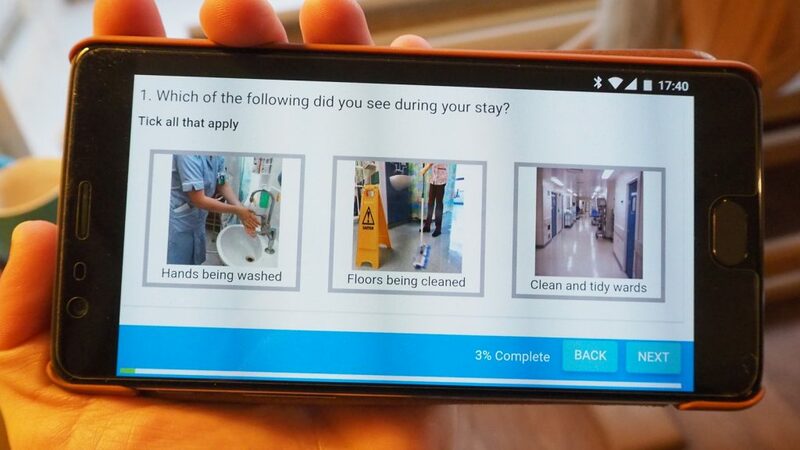 In addition to the Friends & Family test, you can add your own questions including pictorial ones which can be answered on smartphones, PCs and on paper at the time or when the patient has got home and had time to reflect on the service they have received. The service is fully automated and flexible with no additional cost to add and change your own questions.